How have you guys been? I have been super busy with crocheting stuff for the holidays. Quick mani post! I had a pretty blue and sparkly manicure, but we're going out tonight, so I topped my mani from the other day with snowflakes. Fab! 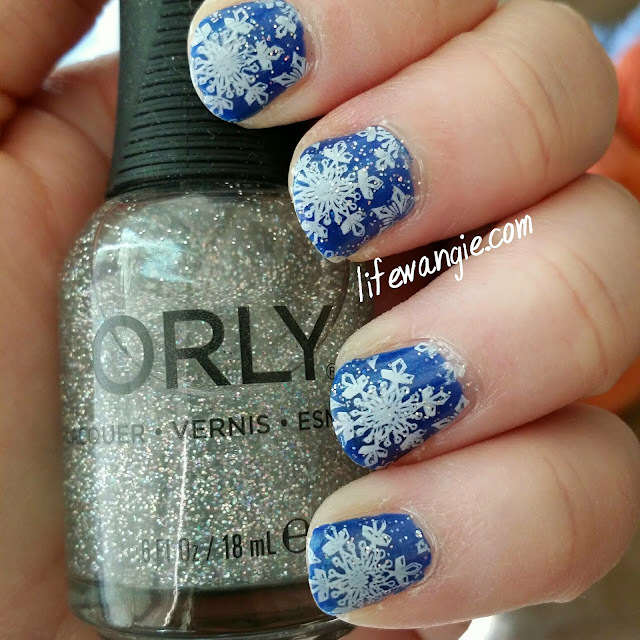 I love that orly glitter!